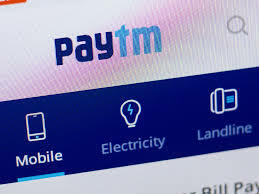 Paytm has officially announced that it has acquired TicketNew of Orbgen Technologies which provides online ticketing to its users. and SVP, Paytm has said " TicketNew founders have built a fantastic business in South India and share the same partnership mindset as Paytm. Under their leadership, Paytm is seeking to connect TicketNew partner cinemas to Paytm's more than 300 million customers and further invest in helping grow their occupancy and revenues"
Deora further told " We are on a mission to be the one-stop destination for all movie and entertainment ticketing needs. It is our goal to be the leader in every city in India and offer the opportunity to all cinema partners to reach Paytm's customers"